On December 30th I updated my Facebook profile thus: “A tale of two over hyped sophomores: Asa’s “beautiful imperfection” and M.I.’s “MI2”. Just bought the former/proceeding to play for what should be an uncountable number/… (Of times)”. Sadly it wasn’t to be. Asa returns three years after an outstanding debut with an album that in my opinion has very few real beauties and by her standard a lot of imperfections. As they say repeating a great feat is never easy. Some of the changes responsible for this include the production. 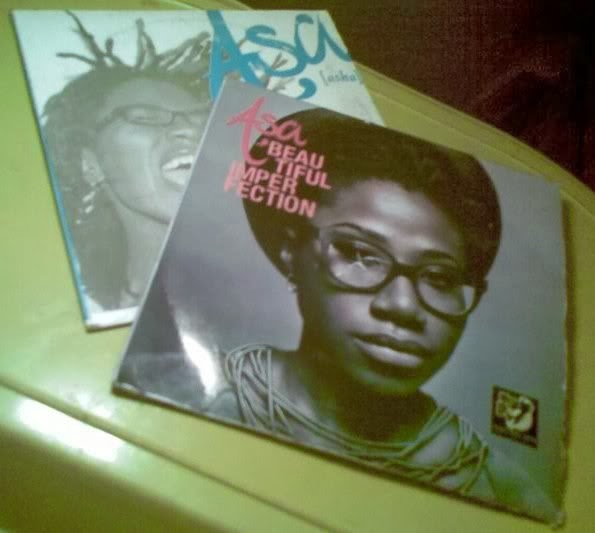 On her debut “asha”, her chemistry with her erstwhile producer Cobhams Asuquo was orgasmic. Till this day “Jailer”, "360", "Bibanke", "Subway", "Fire on the Mountain" and "No One Knows" are still on heavy rotation on my playlist. Benjamin Constant stepping up to be sole producer on this LP just didn’t do it for me. I kind of get the feeling her artistic direction and style was directed at being more western mainstream like; exemplified by the lead single “be my man”. There’s also a slight rock feel to some of the songs. Well when a foreign label takes on a Nigerian act for this length of time I guess it’s sooner or later expected. Despite making a string of guest appearances on other Nigerian artist songs in the past few years she kept to her no guest appearances/features stance on BI (beautiful imperfection), to belt out in over 40 minutes the kind of album a lot of people might not be big on but will still go ahead and play in the office to kill the dead of silence and appear like some mature minded music listener. The songs not being overtly Naija themed like in asha I like to feel this album lost the local touch or identity. Despite hardly understanding much of the Yoruba when it was used particularly in “bimpe” I still stand by this opinion. Perhaps one of the things that does really tickle my fancy in BI is the album sleeve art work. Simplistically really cool and for an admirer of natural hair wearing chicks I couldn’t but be impressed. You’ll have to listen to this album yourself to form your own opinions being that I’ve not made much of an effort to dissect the songs individually but an opinion I can make for you is that “may be” and “baby gone” are the absolute stand out tracks of BI. “May be” is melodiously socially conscious while “baby gone” is a heartfelt ballad about lost love. i love Baby gone and be my man. Havent listened to d rest of d album. Be my man video even dey rotate for Trace which is a feat in my opinion 4 a naija artiste. Just watched a few of her videos. girl is good!